SBBFL is the premier Sarasota Business Broker and we have the experience and connections to handle your Sarasota Business For Sale or assist you in purchasing the perfect Sarasota, Suncoast or Tampa / Central Florida business. Sarasota County: Paradise Found - Most American businesses are family owned, so the whole family is involved with any business via location and lifestyle. 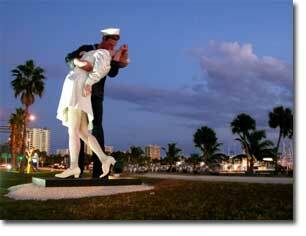 Sarasota Ranked #5 - List of Small Cities American Style Magazine! The decision to sell your business is a major life changing decision! While the decision itself may distract you momentarily from your day to day business, we will handle all details so you can continue running your business and keeping it healthy for the sale. Some sale structures even keep former owners on as senior advisors, in the transitional,to insure continuity of operations. You may or may not want to get involved in that. We will work with our sellers to arrive at a feasible sale price, plan the advertising, negotiate with prospective buyers, do the required paperwork, legal details and many more details. Our Business Broker Team Is 100% Comprized Of Former Business Owners Only - So Yes, We definitely "Walk The Walk"! Buying a thriving business is always a safe way to invest your money. Looking back over the past decade of stock market scandals, it appears buying an established business is far safer than stock investing these days. Unless you are a career Wall Street professional, your safest bet is to stay in your own arena - a Sarasota Business for Sale! 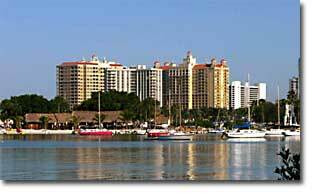 Sarasota offers a high quality of life to accompany the purchase of business. Sarasota cannot be compared in any way to Miami except for climate. After researching the Buyer’s chosen industry, a company is selected, and a meeting is arranged at the Seller’s facility. We will work with you to obtain enough initial info to develop an offer for the Business that we will compile into an asset purchase contract. This will include the price for the Business, proposed down payment, non-compete agreement, training, assets that are included in the sale, allocation of the purchase price, lease contingencies, due diligence period, and the closing agent. Sinclair Business Brokers, works with the parties to insure a smooth transition and will handle all the details necessary to close the deal. Search Sarasota Business For Sale, Suncoast/Central FL Bus. Market Information.